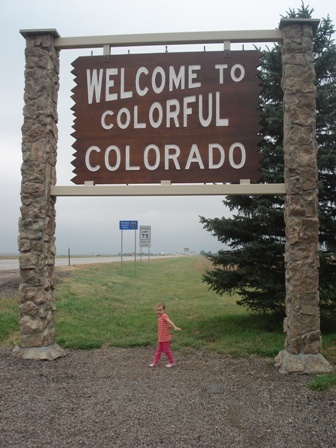 On our most recent trip to Colorado we ate at the (horrible) VG Burgers and (outstanding) Watercourse Foods. Both of these places had something in common, they served Oogave sodas. 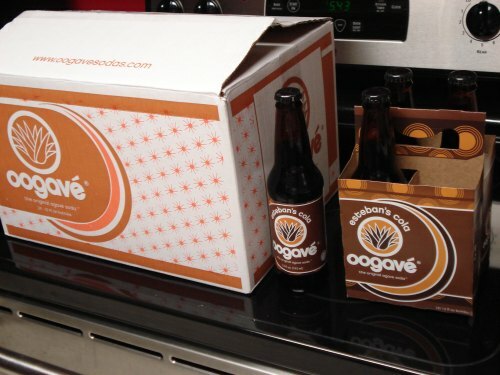 Sweetened with agave nectar, the drinks are some of the best I have found since quitting the acid infested drinks such as Coke and Pepsi a few years ago. They come in six flavors: Cola, Root Beer, Ginger Ale, Grapefruit, Watermelon Cream and Mandarin-Key Lime. I tried all except for Grapefruit and found the best, in my opinion were all of them! At first the Ginger Ale had no flavor I thought but after taking a drink I tasted fresh ginger, not the artificial ginger-like flavor of typical Ginger Ale. After realizing these could not be found in local stores I called Stephen, the owner, and asked if I could get some to take home and he agreed to meet me at the offices where I could pick up a case. With a case of Esteban’s Cola loaded into my trunk I left happy. He told me plans were being made to have them in Whole Foods stores soon in western US but no plans for the east, yet. Hopefully, soon we’ll see them around here.